lost her voice owing to a throat affection. [S11] Newspaper - Argus 1 Aug 1932, p1. [S11] Newspaper - Argus 1 Aug 1932, p6. [S185] Property Titles. ; PROV (Public Records Office Victoria), C/T 1558-445 - Alexander James Griffin of Upper Beaconsfield Farmer- C/T 3535-953. [S65] Ancestry - various indices, The National Archives of the UK; Kew, Surrey, England; Board of Trade: Commercial and Statistical Department and successors: Inwards Passenger Lists. ; Class: BT26; Piece: 770; Item: 48. [S185] Property Titles. ; PROV (Public Records Office Victoria), C/T 3535-953 - James Paxton of Upper Beaconsfield Farmer. [S108] Electoral Roll for Australia, 1908 "probably same person." Death-Notice* 15 Mar 1930 HARDY. -On the 14th March, 1930 at a private hospital, Edward Allott Hardy, in his 70th year, late of Beena avenue, Murrumbeena. Probate (Will)* 27 Jun 1931 HARDY Edward Allott of 23 Beena-avenue Murrumbeena Victoria Australia died 14 March 1930 Administration (with Will) (limited) London 23 January  to Robert Pulsford Hart solicitor attorney of The Equity Trustees Executors and Agency Company Limited and Edgar Henry Trebilco. Effects £4139 0s. 10d. New grant P.R. 27 June 1931. HARDY Edward Allott of 23 Beena-avenue Murrumbeena Victoria Australia died 14 March 1930 Administration (with Will) (limited) London 27 June  to Henry Robert Hant and William Godfrey Scott Hart solicitors attorneys of Equity Trustees Executors and Agency Company Limited and Edgar Henry Trebilco. 3 Aug 1923, To EDWARD ALLOTT HARDY. Department of Agriculture. MELBOURNE, August 3, 1923. TAKE NOTICE that I, GORDON MACKIE FLETCHER, of Brown street, Heidelberg, being duly authorized in writing by the Minister of Agriculture, the Minister for the time being administering the Vegetation Diseases Act, to enter upon the land owned by you at Panton Hill, being Allotment 10, Section 2, Parish of Nillumbik, County of Evelyn, and to there search for diseased trees, plants, and vegetables, have entered upon the said land and found there on certain Fruit Trees affected with Root Borer, Woolly Aphis-diseases which the Governor in Council, by proclamation in the "Government Gazette," has declared to be Insect Diseases within the meaning of the'said Act, and I hereby require you to eradicate all disease from and to destroy all insects or fungi in all trees, plants, vegetables, now growing or upon said land, within twenty-one days from date hereof. 8 Nov 1930, SALES BY AUCTION. WEDNESDAY, NOVEMBER 26. At Half-past Two O'clock. At SCOTT'S HOTEL, MELBOURNE. MORTGAGES' SALE OF GROUP OF VALUABLE SUBURBAN FREEHOLDS. Under Instructions from the Mortgagees. [S9] Free BMD. Index. Online @ https://www.freebmd.org.uk/ "parents married Mar Q 1857 Scarborough." [S185] Property Titles. ; PROV (Public Records Office Victoria), C/T 2424-735 - Mortgage No 161816 - discharged 4 Oct 1897. [S185] Property Titles. ; PROV (Public Records Office Victoria), C/T 2580-876 - Mortgage No 168245 - discharged 22 Jun 1896. [S185] Property Titles. 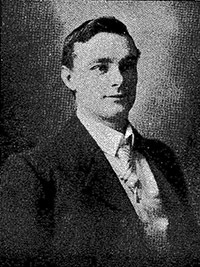 ; PROV (Public Records Office Victoria), C/T 2913-452 - Edward Allott Hardy of 10 Simpson Street East Melbourne Gentleman. [S185] Property Titles. ; PROV (Public Records Office Victoria), C/T 3639-656. [S66] Berwick Shire Rates, 1870-1965 Rate Books 1919/20 - to 1945/46 This appears to be a mistake in the rate book, as the property changed hands in 1926 - see C/T 2913-452. [S185] Property Titles. ; PROV (Public Records Office Victoria), C/T 3936-023 - Harold James Matherson Osborn to Edward Allott Hardy - it appears that this mortgage was transferred to Harold Osborn. [S185] Property Titles. ; PROV (Public Records Office Victoria), C/T 2913-452 - Percy Sharples Cowper of Emerald Orchardist. rated 1925/26 N40 - address changed from Emerald to Norwood Upper Beaconsfield. The rate books still note the owner as being Davidson, but this is not correct. [S185] Property Titles. ; PROV (Public Records Office Victoria), C/T 3886-190 & 191 - C/T 5196-084. [S11] Newspaper - Argus 15 Mar 1930, p17. [S185] Property Titles. ; PROV (Public Records Office Victoria), C/T 3535-953 - Mortgage discharged 16 Jul 1937. [S65] Ancestry - various indices, England & Wales, National Probate Calendar (Index of Wills and Administrations), 1858-1966. [S83] Online index to the UK census "Class: RG11; Piece: 3350; Folio: 56; Page: 32; GSU roll: 1341799." [S14] Newspaper - Advertiser (Hurstbridge) 3 Aug 1923, p3. [S14] Newspaper - Advertiser (Hurstbridge) 10 Oct 1924, p3. [S11] Newspaper - Argus 8 Nov 1930, p2. [S185] Property Titles. ; PROV (Public Records Office Victoria), C/T 2628-419 - Edith Lillian Ballantyne of Spring Road Malvern Married Woman. [S185] Property Titles. ; PROV (Public Records Office Victoria), C/T 2628-419 - Gladstone Robert McGowan Engineer and Rose Roberta McGowan Married Woman both of "St Hilary" Hilary Grove Marvern as tenants in common in equal shares - C/T 6457-291. [S22] Victorian Government. BDM Index Victoria (online) "Place of birth MELBOURNE NORTH." “ John Alexander Ballantyne, Dental Surgeon, M.A.C.D. High St., Malvern is a native of Victoria, having been born in North Melbourne in the year 1875, and is the third son of Mr. James Ballantyne, of Malvern. He was educated at the Wesley College, Melbourne, and on the completion of his scholastic career entered into mercantile pursuits, which he followed for some time, and then decided to study for the dental profession. He was with Mr. E. E. Haworth, dentist, of Collins Street, while pursuing his studies at the Dental College, where he obtained the degree of M.A.C.D. in 1900. In the following year he passed the necessary examination before the Dental Board, and commenced the practice of his profession at his present address, high Street, Malvern. He is an enthusiastic cricketer and plays for Malvern in the League contests”. About 1908 he married Edith Stephens, a wealthy woman, whose family had a drapers shop in Bourke Stret Melbourne. For many years they lived in a large attic house in Spring Road, Malvern, designed and built by my father, George. [S50] Miscellaneous Source, ancestry family tree - family history compiled by Keith Ballantyne - see Keith Ballantyne for full history. [S347] Unknown author, The Cyclodedia of Victoria, p465-466. [S11] Newspaper - Argus 26 Jun 1909, p13. [S11] Newspaper - Argus 5 Apr 1880, p1. 811/49 WILLIAM RICHARDS PAKENHAM 117 19--3--29. 1877 - 1888. [S185] Property Titles. ; PROV (Public Records Office Victoria), C/T 1996-187 - William Richards of Beaconsfield Farmer. [S185] Property Titles. ; PROV (Public Records Office Victoria), C/T 1996-187 - Mortgagee John Oldham - discharged 27 Jun 1889. [S185] Property Titles. ; PROV (Public Records Office Victoria), C/T 1996-187 - Mortgagee John Oldham - discharged 24 Dec 1889. [S185] Property Titles. ; PROV (Public Records Office Victoria), C/T 1996-187 - Mortgagees Richard Colles and Thomas Colles - foreclosed 12 Oct 1896. [S185] Property Titles. ; PROV (Public Records Office Victoria), C/T 1996-187 - Mortgagees Richard Colles and Thomas Colles - foreclosed 12 Oct 1896 - C/T 2628-419 (Property transferred to Thomas Colles only). [S185] Property Titles. ; PROV (Public Records Office Victoria), C/T 2628-419 - Thomas Colles of St James Buildings William Street Melbourne Solicitor. [S2] Registry of Births Deaths and Marriages Federation Index Victoria 1889-1901 "indexed as RICHARD Wm." 4-269-A Richards William M 24/01/1899 327. Death-Notice* 8 May 1916 STODART. -On the 7th May, at "Nerinnan," St. George's road, Toorak, David Edmund Stodart, aged 70 years. No flowers by request. [S35] Probate Records, PROV (Public Records Office Victoria), VPRS 28/P3, unit 621; VPRS 7591/P2, unit 543. [S22] Victorian Government. BDM Index Victoria (online) "reg Geelong." [S22] Victorian Government. BDM Index Victoria (online) "David born Colac; Flora born Geelong." [S185] Property Titles. ; PROV (Public Records Office Victoria), C/T 2628-419 - David Edmund Stodart of "Nerinnan" Saint Georges Road Toorak Gentleman. [S185] Property Titles. ; PROV (Public Records Office Victoria), C/T 1926-123 - Mortgage No 311656 - discharged 10 Oct 1919. [S35] Probate Records, PROV (Public Records Office Victoria), David E Stodart. Esquire. Toorak. 7 May 1916. 144/242. Lists mortgage in VPRS 28/P3, unit 621;. [S185] Property Titles. ; PROV (Public Records Office Victoria), C/T 2628-419 - Ethel Violet Gowan of Burke Road East Malvern Married Woman. [S11] Newspaper - Argus 8 May 1916, p1 + 9 May 1916, p1 (funeral notice). [S14] Newspaper - Weekly Times, 12 Aug 1916, p24. Death-Notice* 26 May 1952 ROGERS.—On May 24 at her residence, 235 Alma road, East St Kilda, Dorothy Alma, beloved daughter of the late Charles and Elizabeth Rogers and loved sister of Ethel (deceased), Edith (deceased), Neville (deceased), Vera and Stanley. ROGERS - The Funeral of the late Miss DOROTHY ALMA ROGERS will leave All Saints Church Chapel street East St Kilda THIS DAY (Monday May 26) after a service commencing at 1.30 p.m., for the Brighton Cemetery. [S185] Property Titles. ; PROV (Public Records Office Victoria), C/T 5023-533 - Dorothy Alma Rogers of 235 Alma Road East St Kilda Spinster. [S66] Berwick Shire Rates, 1870-1965 rate payer 1941/2. [S11] Newspaper - Argus 26 May 1952, p11. [S185] Property Titles. ; PROV (Public Records Office Victoria), C/T 5023-553 - Dorothy Alma Rogers died on 24 May 1952. Probate of her will has been grated to Clive Ernest Taylor of 38 Fuchsia Street Blackburn Manufacturer's Agent. [S185] Property Titles. ; PROV (Public Records Office Victoria), C/T 5023-553 - Geoffrey Ronald Herbert Solicitor, and Enid Merle Herbert, Married Woman both of 11 Ardayne Street Black Rock - joint proprietors. [S11] Newspaper - Argus 4 Oct 1947, p44.